Pinterest is a bit odd compared to other social media sites, having its own community and trends almost wholly separate from anywhere else online. This gives it the potential to be a vast untapped market for all sorts of enterprises, especially bloggers looking to grow their audience. But this is much easier said than done. Charging in without a game plan or a lay of the land can only result in failure. Because of this, you should know what you’re getting into before you try to make yourself known on Pinterest. The question then becomes how you can do this. Whether you’re new to Pinterest or want some tips on how to improve, you’ve come to the right place. We’re here to teach you some of the dos and don’ts of marketing for bloggers on Pinterest. Let’s begin with a list of positives for marketing on Pinterest to get us off to a good start. 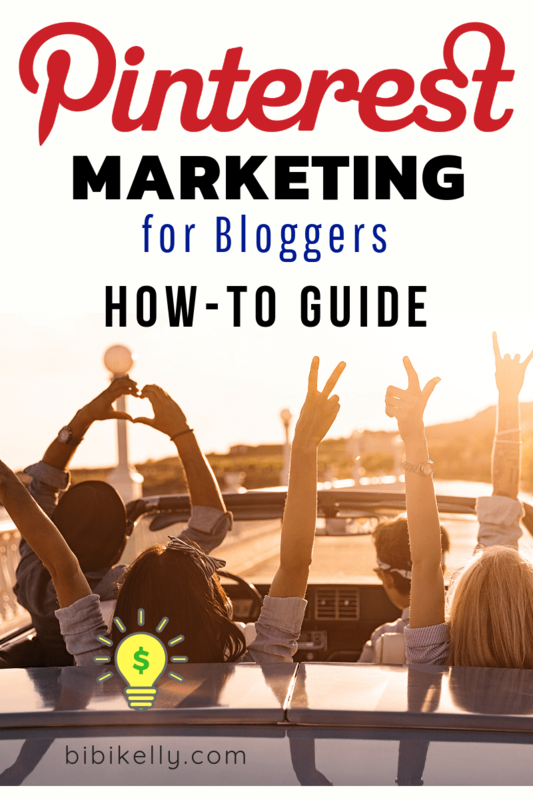 These tips will tell you exactly what you need to do to get your blog noticed by an entirely new audience without screwing things up. Before doing anything else, you should first assess what exactly Pinterest can offer you regarding the marketing of your blog. This gives you a good idea as to what to expect when successful and how best to go about marketing depending on the time of page you want to promote. For example, consider the main draw of Pinterest. It’s a website for posting and saving different images in the form of pins, with communities built around all sorts of different types of pictures from food to art to music to everything in between. Knowing the community, you intend to market to can significantly help you integrate yourself into the site more organically and genuinely. It’s also helpful to think about all the ways Pinterest is different from other social media sites. One of the main benefits is the lifespan of a particular pin and how long it stays relevant to the website. Many other websites go through content quite quickly in the span of an hour or less, but Pinterest’s pins are still re-pinned with some level of intensity up to a year after they were first to let loose on the site. To accommodate the platform’s extreme usefulness to business owners, Pinterest allows users to create business accounts that come with different perks compared to the standard profile. If you intend to drive traffic to your website using Pinterest to make money, i.e., a business, their terms of service actually requires your Pinterest account to be a Business account. You can make a business account for free just like a regular account, either on its own or by converting an existing standard account. Doing this gives you access to the analytics of your pins to see who’s repinning, liking, and commenting on them. You will need to confirm your business (or in this case, your blog) with Pinterest, but that shouldn’t be a problem. That’s not all, though. When you have a business account, you can get Rich Pins, which provide extra info on the things you post. For people who run a business, this means a real-time price checking plus a direct link to your site. The latter part is helpful to just bloggers, too, as is the ability to add a headline, a logo, and an ad for your latest post. Search Engine Optimization. Pinterest is a search engine. Their algorithm isn't as complex as Google's, and for us, this is a good thing. Good SEO brings consistent traffic to your blog. On Pinterest, the SEO formula is simple and basic. If you are trying to rank for the search term 'Pinterest Marketing for Beginners', make sure that exact phrase is the 1st 4 words on all five of the above list items. Adding some extra search terms and hashtags is also recommended. Important Tip: If you are using Tailwind, always make sure you add keywords to other people's pins before you schedule them. Just like any social media site, when you post has a lot to do with your content going viral. Pinterest is no different, with the majority of users more likely to see your pins if you post at a set time frame. The time frame in question would be Saturday nights between 8:00 PM and 12:00 AM EST. We can get more specific, though. Depending on the kind of people you want to advertise to, the time when you want to post can change. For instance, fitness posts seem to do best on Mondays while food posts are preferable for Sundays. There are various reasons why this could be, but the bottom line is that you’ll want to take a look at the data to determine when your target demographic will be repinning your content the most. Your account is up and running, you know when and what you’re going to post, and you feel confident you can get some great attention for your blog. And all of that will mean nothing if your pins look like total garbage. That’s why it’s crucial you format your images correctly. As a site that runs on pictures and videos, Pinterest demands a certain level of competence when it comes to how you display the content you pin. Vertical is a no-brainer given how many users access the site through mobile devices, but you should also consider the aspect ratio. The best for displaying on Pinterest would be either 2:3 or 4:5. On Pinterest, users have the option of forming or joining group boards where each member of the group can pin their own content as a collective. This is an extremely effective way of growing your online presence in a short amount of time, both by getting to know the members of the group and by using the notoriety of the group to help promote yourself. There are plenty of groups out there more than happy to accept new members all the time, many of which are built around specific topics. Some groups are even made exclusively for those with blogs or businesses they’re trying to advertise for. Remember to pay attention to any kind of requirements for joining or getting an invitation before you attempt, though. To see what your options are, you can search sites like PinGroupie that catalog the current groups on Pinterest. While there’s no such thing as a “right” picture, there kind of is in reality. At least, according to the data. To get the maximum amount of repins, you want your images to include vibrant, bold, well-lit colors, especially in shades of red. It’s also recommended that the background of the picture have something to do with the focus, like food on a table or a guitar on a stage. People seem to prefer pictures with some text, too, but don’t go overboard with logos and slogans and the like or it might come off as nothing more than a cynical ad. Additionally, avoid human faces, as pins without those get around 23% more repins compared to pins that do have people. That’s not to say pictures that pictures that don’t follow all these guidelines are wrong, of course. It just means that they don’t have the same chance of going viral. Even if you’re not checking every single box on the list, you should try to work at least one or two of these aspects into pins like this just to be safe. If you’re pinning something that doesn’t belong to you, you need to give the proper credit. This is basically common sense, but no one’s surprised that far too many people still have a problem doing this essential thing. Even beyond outright content theft, this also includes things you’ve reposted to your own blog with credit. In this case, make an effort to link back to the original source rather than the repost. That’s just etiquette. Now that we’ve covered what you should do on Pinterest, it’s time to address what you shouldn’t do. These range from simple faux pas in etiquette to major disasters that could mean you’ll need to pack it in and give up altogether, so pay attention to avoid that from happening. This is probably shocking to many of you. After all, comments are a great way to let others know what you think of their work, not to mention it gives people a chance to see your name and associate it with the pleasant feeling of being complimented. And all this is true. At least, on other websites. For Pinterest, though, you’re better off doing literally anything else to show you like someone’s pins. The Pinterest notification system is notoriously weak and does not update users as you’d expect on another social media platform. As such, most of us don’t even notice when someone leaves a comment. What actually does the job are simple likes and repins, especially the latter. People who notice you re-pinning from them will be more likely to repin from you in exchange, growing your audience much more effectively than leaving a comment no one will ever see. While it might sound like a good idea to always be posting as much as you can, there are times when it’s a bit counter-intuitive. While not posting enough can be a detriment, especially when considering those who aren’t dedicated followers of your content and would likely drop off with a long absence, posting too often doesn’t do you any favors. Posting too much can make you seem like a nuisance, especially in a group setting. The other group members and some of your followers would likely get annoyed with how much you’re dominating the feed, potentially risking the loss of your spot. Even outside of groups, always seeing a single person in the feed for a particular topic can be irritating on its own, especially if that person continually pushes down the other content creators they’re used to seeing. Beyond what other people think, though, it creates an unwinnable situation for you. If you’re dedicated to your extreme posting schedule, you’ll have to be making or finding new content to pin continuously. No matter how good at it you are, there will inevitably come a time when you’re unable to fulfill your promises leading to disappointment. The best strategy is to pace yourself on content, posting no more than one to two posts a day, though a few more early on wouldn’t be so bad. Yes, groups are essential. In fact, they’re probably one of the most important things to getting your account off the ground and its continued success. But that doesn’t mean you should go around joining every group you come across. Not every group will be able to help you, even if your follower count is lower than theirs. Whether it’s just a difference in quality between your posts or something more serious, if your pins do poorly on a particular group, it forces that board lower in the rankings. This not only hurts you but the other members of the group, too. There’s also the time commitment that numerous groups would require. Assuming you manage both your blog and your Pinterest account by yourself, that means you’re devoting time to posting on each service most likely every day. That means you’ll have to find things to post on each of the groups you’re a part of, making for a bigger and bigger challenge the more groups you’ve joined. It’s definitely tempting to work in a few off-topic pins here and there that don’t relate to your brand but don’t do it. The intended effect is to make you seem more relatable and real, which is desirable, but all it really accomplishes is making you seem inconsistent. While some people might get a kick out of it, the majority of your followers follow you on a specific topic. Constantly breaking from that topic because you saw something cool while browsing just encourages them to unfollow and look for those who give them what they want. Reserve these kinds of pins for a personal account that’s not your primary method of doing business or another social media platform. You’re here to market first and foremost, not to have fun. While pins that are more dubiously related to your theme for things like holidays or special occasions are usually alright, avoid going entirely off topic as much as possible. While appealing to the broadest possible audience might be the TV executive way, there’s a reason cable is dying. Posting content that’s too general never did any good. Though it might sound good on paper – netting you more followers with a more significant amount of material that seems like it could be relatable to a more substantial amount of people – all it ends up doing is turning people off. It’s more like filler than actual content, and that’s something people pick up on. On the opposite end of the spectrum, your content could be too specific. Establishing a brand is great but not at the expense of the ability to grow. Exclusively posting content only a select group of people can enjoy or relate to is a great way to alienate a large portion of your audience and any potential fans. Try to strike that balance as you establish your place on the site. Posting with no rhyme or rhythm is never a good idea. Consistency is vital when it comes to getting a following. People don’t want to hunt for your content without a clue as to when it will appear since that just makes it a hassle. This goes hand in hand with posting in the proper time frames from before. Not only do you risk frustrating your audience with a continually shifting posting time, but you also run the risk of missing out on a ton of potential attention by not taking advantage of those prime posting times. Furthermore, Pinterest itself doesn’t like this kind of behavior, either. If the site’s algorithm notices that your account seems to be acting unusual (say, posting a random number of posts across several days at random times), it may actually negatively affect you by putting restrictions on your content. This is probably the worst thing that could happen to you, so to avoid that, pick a consistent time and stick with it. Too often, people will think of their follower count as the ultimate goal. Quality is better than quantity. Followers are more than just a bunch of numbers. Each one is, presumably, a real person who followed because they like the content you produce, both on Pinterest and the blog you link back to. What do you think will happen if your content suddenly drops in quality because you’re too focused on the number of posts you can make rather than how good they are? Don’t sacrifice quality for quantity, and especially don’t buy into any quick fixes or easy strategies for success. Success doesn’t happen overnight, so you’ll need to be willing to work hard at growing a following on Pinterest just like anything else. With this, you should have everything you need to market your blog on Pinterest effectively. While it can take a little getting used to when you first start out, the same can be said with just about any new venture. Have faith in yourself and apply the tips you’ve learned while avoiding the missteps and you’ll be growing your online brand like a pro in no time.